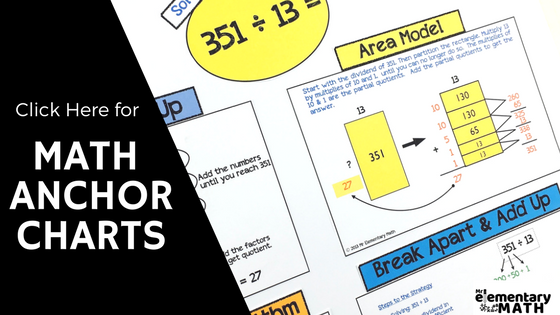 Let’s talk math anchor charts! For me, strategy anchor charts serve as an important visual aid for students throughout the school year. They are so helpful because they display different representations and students can use them as support when explaining a particular strategy. They are also provide a collection of mathematical representations. I've noticed that sometimes my students couldn't explain their thinking and reasoning. Have you ever experienced this? 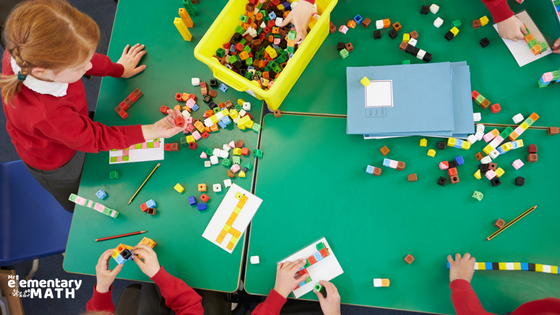 When teaching math, a variety of representations and models should be introduced, discussed, and connected to support students in this area. The models and representations displayed on an anchor chart can serve as a springboard for student explanations. When introducing a math problem to your students, give them time to represent the concept with manipulatives (ie. base ten blocks, connecting cubes, etc). This will give them a chance to build conceptual understanding of the math concept. After using manipulatives to represent the math, represent the strategies using models, objects, numbers and/or words. Math models and representations help students justify their answer. Use colorful visuals models to help draw kid’s attention to a specific concept or strategy. What parts are difficult to understand? How is this strategy similar to another strategy? How is this strategy different from another strategy? Will this strategy always work? Prove it. Be sure to give your students time to discuss their thinking with other students. 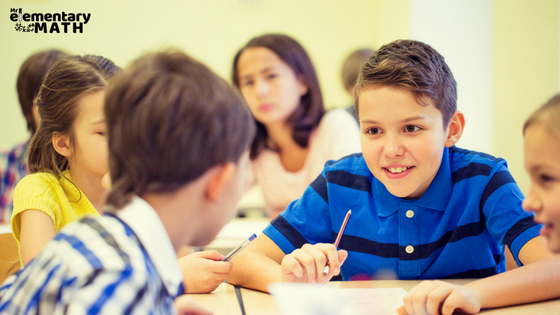 Discussion time is valuable because it builds student confidence, clarifies their understanding and allows them to hear the thought process of their classmates. As different strategies are introduced add them to the anchor chart. All strategies do not have to be posted to the anchor chart at once. In fact, only post strategies once they've been discussed. Students love to make choices and have a say in classroom matters. Let them vote on where anchor charts should be placed in your room. As a bonus, students will definitely know where to look when they need extra support. 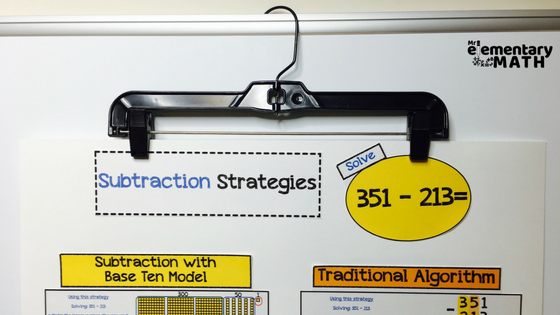 Use pants hangers to store your anchor charts and store them in your room closet. Using pant hangers will help keep your charts neat and flat! Teacher Tip: As a word of caution, if you are hanging laminated charts consider using painter’s tape in the areas that touch the hanger. Typically laminated posters are slippery and will fall out of the hanger. We all know that wall space is scarce. A mini-version of an anchor chart is a practical way to always have them accessible. Teacher Tip: Students can glue the mini charts into their notebooks or keep them inside of a folder, providing a quick and easy resource. 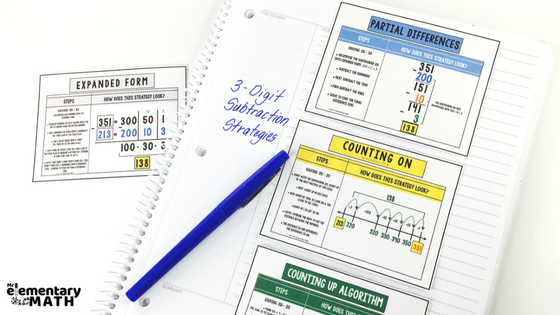 With all of this talk about anchor charts, I’m sure you’re well on your way to using math strategy anchor charts to teach and review in your classroom. Want to make it a little easier? Click on the image below to take a closer look. P.S. 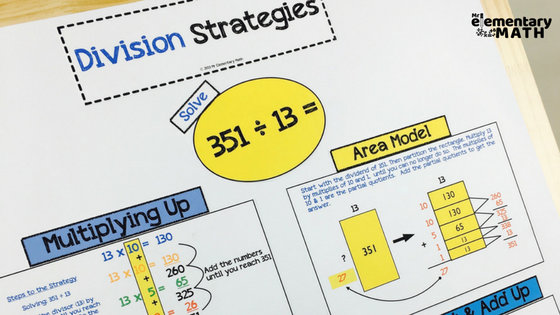 Want to discover more math ideas, tips & strategies? 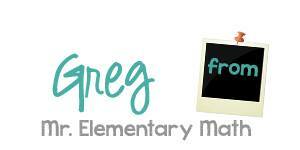 Just visit Mr Elementary Math and you can access free resources, videos and more.